Lead type versus letterpress plates: which is better? This is a plastic-backed letterpress plate adhered to the Boxcar Base. Here are some differences you’ll find between letterpress printing with lead type versus printing with polymer plates. Of course we have a soft spot for lead type—that’s what we first learned to print with. But in a commercial setting, polymer seems pretty ideal. (Try things out yourself — get your hands on a free polymer plate. The Boxcar Base is a 100% aluminum base guaranteed to within 0.001″ in thickness, parallel, and flatness: this is flatter than many press beds in fact. Lead type is, of course, type high by design. With lead type, you’re limited by the lead type that’s in your cabinet. Use polymer plates and you’ll have an infinite amount of flexibility with design, since you’ll be designing on computer instead of by hand. Thousands of typefaces are at your disposal. You can integrate images, line drawings, and halftones into your text, and you can create halftones without any tricky camera work. Multiple color jobs become easier, as you use sophisticated digital methods for separating elements before you’re on press. deep impression printing and wear. Lead type can’t really be used for deep impression printing—it deforms when hit hard, so after awhile you’ll start losing your serifs and periods. Polymer is the ideal surface for deep impression printing. Its very resistant to smashing, more so than magnesium or lead type, so you won’t lose your serifs and periods anytime soon. A polymer plate is made to be used for a long time. After thousands of impressions, a well-processed photopolymer plate will print as crisply as lead type that’s been freshly cast. light impression printing and work-ups. Although fresh monotype prints beautifully, lead type can show a lot of imperfections—small dings in the letters are very visible with light impression printing. Pieces of type can also work up while on press, creating an uneven surface: one letter becomes higher than the others and so that letter appears darker on the printed page. Polymer plates work well for light impression printing because of their level and pure surface. If you’re using a Boxcar Base, you won’t have to compensate for uneven heights in the artwork or text, as nothing on the plate will work up during printing. Photopolymer plates are thin enough to store in a file cabinet. If you store your polymer plates in a ziplock bag in a cool, dark place, your plates will last for years. When you’re ready to reprint, just reposition your plate on your base. Unfortunately there’s no way to distribute your type after you finish printing with photopolymer. The quality of lead type varies by the talents of the type-founder. There is good type and bad lead type out there. Likewise, the quality of printing you get from lead type depends on the skill of the printer. 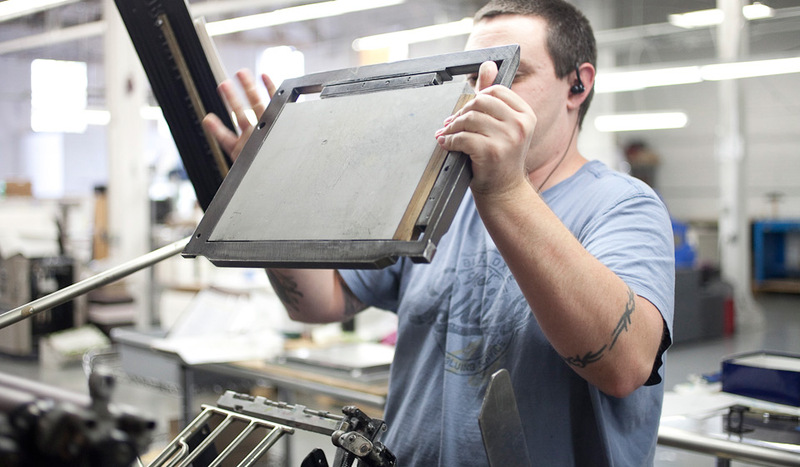 In the hands of a master printer, beautiful lead type can create beautiful letterpress printing. In someone else’s hands, beautiful lead type can create not-so-beautiful printing. The quality of a photopolymer plate also depends on the skill of the platemaker. If you’re trying polymer for the first time, use a reputable platemaking company (like Boxcar!) and invest in a good solid base (we recommend the Boxcar Base). You can also try a free polymer plate sample from us to try things out. Likewise, the quality of letterpress printing you get from a good polymer plate depends on the skill of the printer. 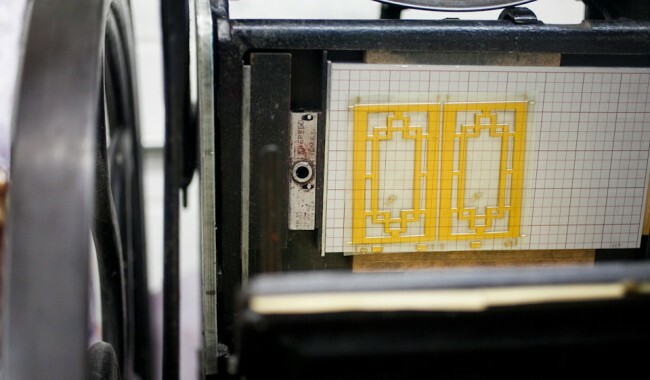 We’ve seen printers make beautiful printing from perfect polymer. We’ve also seen printers produce not-so-beautiful printing from perfect plates. We do offer [free letterpress help] to all our customers, whether you’ve ordered our base or had us expose your polymer plates. Just call, email, or chat if you’re on press with a problem.